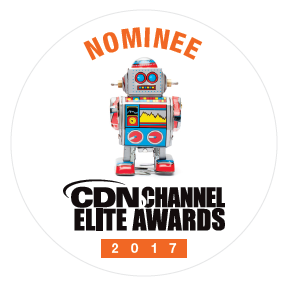 Dimensional Strategies Inc.’s commitment to helping enterprises keep track of customer behaviour and measure themselves against the competition has earned it a CDN Channel Elite Award nomination for Solution Provider of the Year. The Mississauga-based provider’s signature Bottlitix solution combines Microsoft Dynamics 365, Azure, SharePoint, SQL Server 2016, and Power BI to create a state-of-the-art online solution that delivers real-time intelligence and insight to every role within an enterprise. By harnessing this source data and making it available in real-time using Microsoft Power BI dashboards, the company is able to deliver a solution that is modern, efficient, highly-specialized, and provides outstanding business value to its customers. Related : Do you have an interesting solution? Nominate it for a Channel Elite Award today! This data is then converted into automatically generated reports, which are updated in real-time and can be viewed on any device. The result: sales teams of Dimensional Strategies’ enterprise customers are now armed with the data they need to pursue and close more effective deals, and have more time to pursue new leads thanks to the time saved by no longer generating reports. Microsoft Corp. itself has recognized Dimensional Strategies’ achievements, certifying the company as a gold Microsoft partner in application development, cloud platform, data analytics, and data platform, and as a silver partner in collaboration and content.